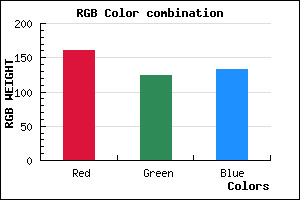 #A07C85 Hex Color conversions, schemes, palette, combination, mixer to rgb. 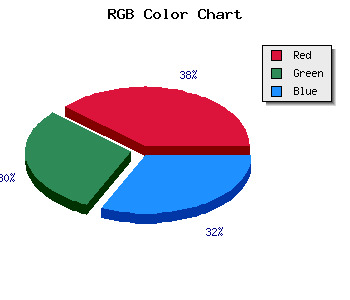 The hexadecimal color #A07C85 has red green and blue "RGB color" in this proportion of 62.75% red, 48.63% green and 52.16% blue, and the corresponding RGB percentage values are 160, 124, 133. The #A07C85 html color has 0% cyan, 2.25% magenta, 1.69% yellow and 95% black in CMYK color space and the corresponding CMYK values are 0, 0.225, 0.169, 0.373. This web safe color #A07C85 can display on browsers. Other information such as degree, lightness, saturation, monochrome, analogue are shown below.